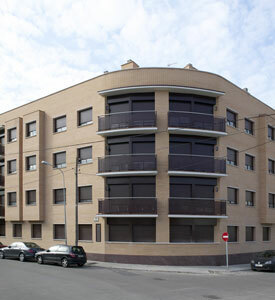 39 high-quality homes on Joan Maragall Street, 40-44. 1 and 2 bedroom apartments with terrace. Duplex of 4 and 5 bedrooms with 3 bathrooms and terraces-solarium. Elevator and parking in the same building. All services available for the best quality of life (teaching centers, health centers, sports centers, leisure and recreation.